The Spirit is always working in every human being, in the history of the world and of our Institute; the Spirit always urges us on towards the best. He is not static and so, to be faithful, we Sisters cannot settle comfortably down. The Institute is alive because it has never stopped, has always answered the call of God in all different circumstances: He is always calling. “Get up and go … “. (Gen. 35:1) It is an invitation to the future. Like the Prophets, even Magdalene, prophet of her times, listened to the Lord and embarked on “the Journey”. This call keeps repeating itself even for us today, we too are called to get up, walk and have the patience to resume our journey. Think about how the Provinces of the Philippines and of Japan were born: “from the diaspora”. Today I wish to underline three attitudes, three inner impulses that should characterize our meeting: listening, an incarnated faith and a free heart. At the beginning of these days I wish to highlight two areas that need our special attention and reflection that cannot be addressed by the individual Provinces and Delegations, but by all of us. We need a reflection and a common orientation. Multiculturality is a characteristic of the Institute located in 32 Nations, therefore, in different cultures. 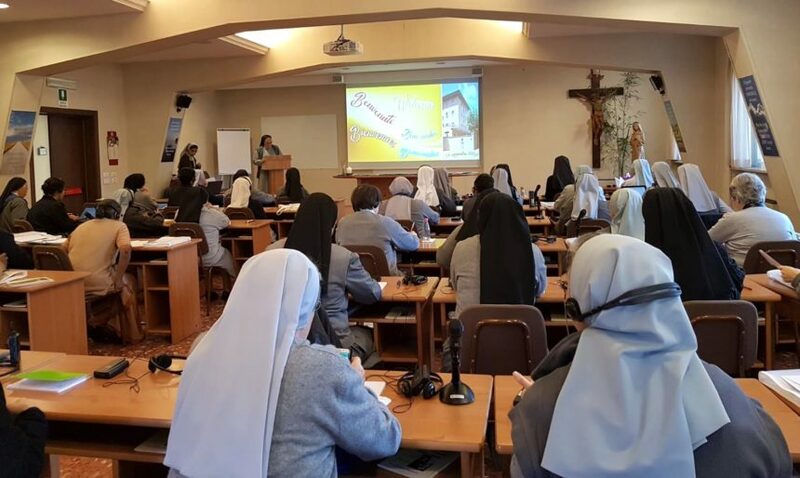 Dear Sisters, it is necessary to take a step forward for the future of our Congregation; the world is changing and the Institute must adapt to these changes. We have the responsibility to search for better way to live our identity. We are opening new paths. This is a moment in which our choices and our orientations may intensify the vitality of our consecrated life and our Ministries. To Our Lady we recommend this Consultation, so that She may invoke the Spirit with us, that He may fill our hearts with faith, enthusiasm and audacity without been discouraged.